Can anyone recommend free video capture software for PC? I need to capture part of an NPC interaction for a contributor who provided us with a great speech/voice over for Vengeance: Reloaded. I see there's plenty out there, but looking for something free and fairly easy to use and want to avoid ad/malware that seems rife on most download sites. VLC Media Player will do video capture. I haven't used that feature of it, but know it can do it. Below is a private message I've posted 1.5 years ago, so the instructions may differ from the current version. OBS is a great FOSS video recording/livestreaming program. Download e 'binaries' for e portable version. 'Preview Stream' to ensure correct capture before 'Start Recording'. - Video file can be found in 'File' tab. 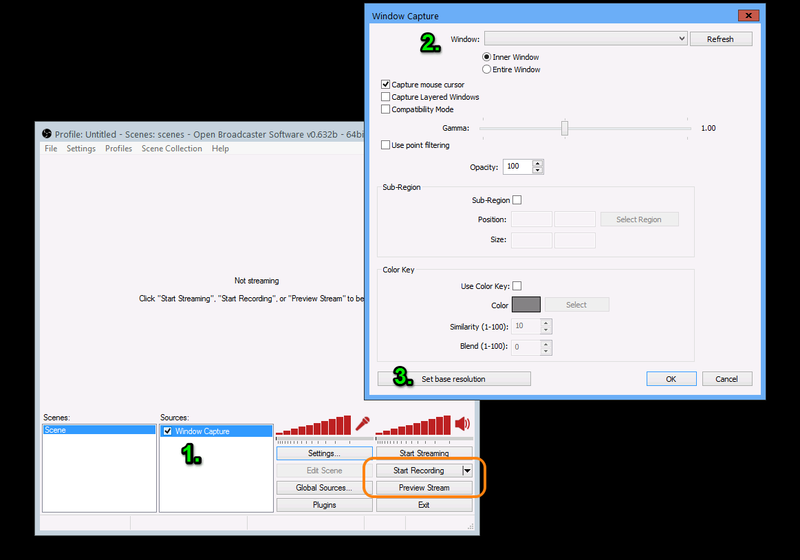 - Recording bitrate can be found in 'Settings/Encoding' tab. I've used OBS for recording and it's great. It takes more fiddling that a normal capture program but it also allows you to customize exactly what you want captured and how. Thanks guys, I'll take a look when I get a minute to myself. Previous Topic: KOTOR 1&2 on Win 7?